Atop another small ridge, known as Devithan, in the village of Umagarh at Ramgarh, is the home of the famous Hindi writer and poetess Mahadevi Verma. Known as the aadhunik Meera, Mahadevi Verma, one of the chief exponents of Chhayavad poetry, is also remembered for the treasure trove of pen-portraits she wrote, of people who unknowingly stumbled into her life. She was honoured with several awards including the Gyanpeeth and Sahitya Akademi Awards . Apart from her illustrious literary career, she was also known for a sense of deep empathy she had for animals and an almost mother like love she felt for them. She was a strong advocate against cruelty towards animals, and wrote a gamut of delightful anecdotes about her pets who unexpectedly came into and then became an integral part of her life. These include her peacock Neelkanth, Gaura, a cow gifted to her by her sister and a rabbit called Durmukh. While writing about Gillu, a squirrel, whose life she saved, she fondly recounts how when she had met with an unfortunate accident, Gillu had sacrificed his fair share of cashew nuts, which she found heaped in a pile on his swing, upon her homecoming. Gillu had earned the special priviledge of being the only animal to have eaten out of her plate! Another poignant tale is about her pet deer Sona. So attached was she to Mahadeviji, that her absence made Sona so uneasy and restless, that on one such occasion when Mahadeviji was away on her annual trip to Badrinath, Sona unable to bear the pangs of separation, headed into the woods nearby in search of her mistress. Despite being tied, she managed to unfasten herself and in one such fateful attempt, ventured a bit too far into the forests, unfortunately never to return! 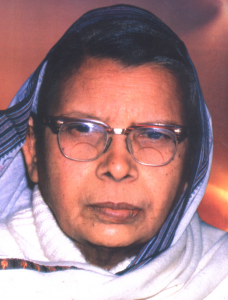 Each summer Mahadevi Verma would visit Uttararayan – as mentioned in her works, along with her family of numerous birds and animals and immerse herself in the two passions that were the life lines of her very existence; literary pursuits and social work. To savour the flavour of her writings, the original version of Neelu, her ever faithful and most sensitive pet dog has been attached for your reading. 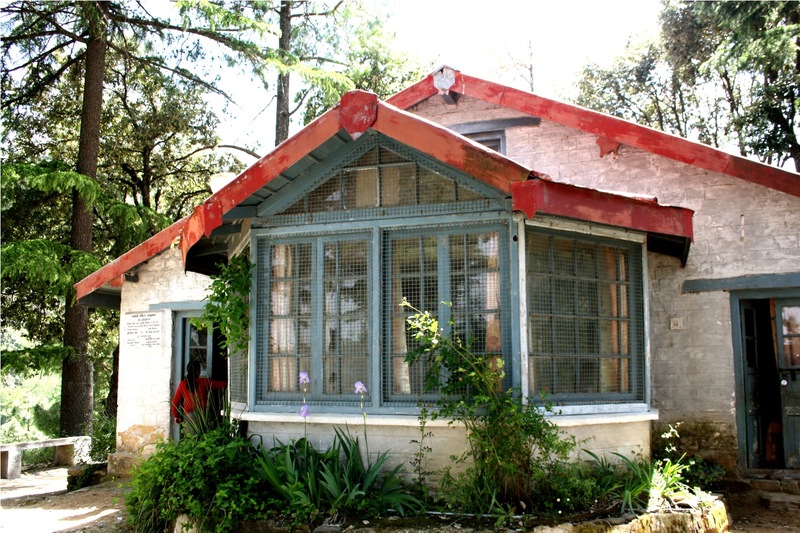 Her home, under the care of the Kumaon University is being maintained by it. The cottage has been converted into a Library, which now houses not only by her writings, but also works of other famous literary personalities. It is somewhat of an iconic local milestone and certainly worth undertaking a short trek to. Happy trekking and happier reading!! This trek has a bit of everything, so far as the topography of the route is concerned. A mix of a charming village path, interspersed with rough rocky terrain and the motor able road, depending on how one approaches it. On the way to Umagarh, do look out for a quaint old temple dedicated to a local Devi of the region. Distance: The most popular way to visit the Library is to do a round trip to Mahdevi Sanghralya via Umagarh village then to the Ramgarh Market and back. The way back from the market could with either on foot or by taking a cab back. In case one decides to trek back, the entire route is about 5.5 km and if the latter option is exercised, it is 4kms. In case one wants to avoid the trek all the way to the market, there is a short cut that connects Mahadevi Verma Sangharlaya to the road which can be used to come back. This trek would be about 4 km. Time: Depending on which version of the trek, one undertakes, it could vary between, 2 hours for the round trip, or 1.5 hours in case one opts for the taxi on the way back from the Ramgarh market, or an hour if one does the abridged version to just the Sanghralaya and back. After breakfast in the morning, or post lunch could be a good time to do this trek. Rating: This trek rates midway between the more strenuous ones to the Tagore Top and the Devi Mandir, and the easier one to the Market. Doable by all or most, one can mould the route and difficulty of this trek according to one’s own ability.